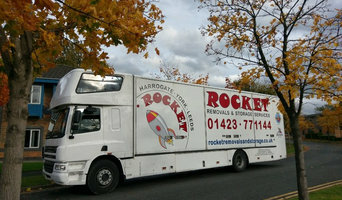 Rocket Removals ® was established in 2008 in Harrogate and provides a wide range of local, national and European moving and storage services for homes and businesses; Home Removals, Business Relocations, Exhibitions, Container Storage, Self Storage, Archiving, Packing Service, Packing Materials Supply. For your assurance, we are a member of the British Association of Removers (BAR) and is approved by the Trading Standards Institute (TSI). We abide by the BAR Code of Practice and adhere to the BAR Alternative Dispute Resolution Scheme which is independently operated by The Property Ombudsman (TPO). We are also registered with The Federation of European Movers Associations (FEDEMAC) and are a member of the Road Haulage Association (RHA). We are certified members of Checkatrade. We hold an International Operator Licence, have a comprehensive fleet of removals vehicles, from 3.5 tonnes to 18 tonnes, and a dedicated, trained and experienced workforce. Full insurance, from employers and public liability insurance to comprehensive goods in transit and storage insurances as standard. High-Value consignment insurance, by quotation, is available. 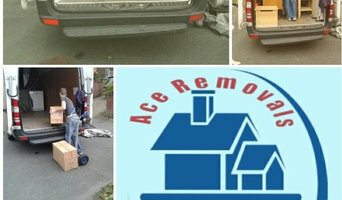 Ace Removals is a family owned removals company based in West Yorkshire providing vehicle and manpower hire for removals in Leeds/Bradford and surrounding districts in West Yorkshire. 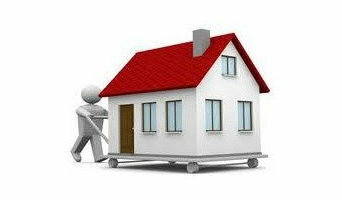 Doncaster door2door removals has been established for 15 years and we offer 1, 2 , or 3 man service . LICENSED AND INSURED HOUSE CLEARANCE AND WASTE MANAGEMENT SPECIALISTS We are a well-established waste management service that has built up an enviable reputation over the last 9 years. We pride ourselves on our commitment to provide a friendly and hassle-free service at an affordable price to both domestic and businesses. WFvanman provides a hardworking small removals team to all scales and scopes of job – from small home and student removals to large scale office relocation. A small removals service from WFvanman is a service you can depend on. By providing an excellent delivery, collections and removals service across Yorkshire and the whole UK, you can be sure that we can help you. We provide a variety of delivery and removal services, including Man with a van, Small removals, Collection and deliver, Office move, House move, Store to door, Student Removals. Yorkshire Movers is your One Stop shop for Removals Leeds and Yorkshire wide. We pride ourselves or excellent customer service and honest, reliable staff! House Removals Company In York Yorkshire and the U.K. If you are looking for a reliable removal service in York, look no further than Jorvik Removals & Storage. Our team of experienced and trained movers use protective materials to ensure your belongings are transported safely and securely. Jorvik Removals & Storage for local and long distance removals across York and the surrounding areas. 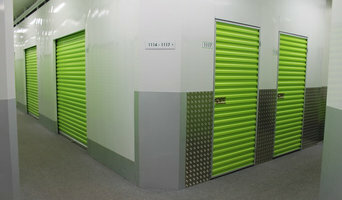 We are a next generation self-storage company, offering safe and secure storage with CCTV and alarm for all your short-term and long-term storage needs. From single item removals to house clearance and packing, we do it all. You can also rely on us for a wide range of packaging materials for your domestic and commercial removal needs. 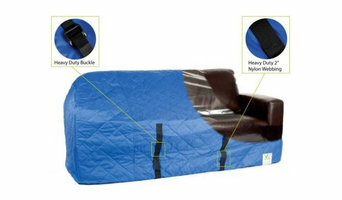 We also supply second-hand furniture and brand new beds. Why should I hire Leeds, West Yorkshire removal companies? Some house removals will involve total house clearance work – perhaps you’re stripping bare your old place and redoing it before selling it on? Or if you only need a few large items moved, there are lots of removal companies in Leeds, West Yorkshire that will be happy to offer furniture removal, and may even be willing to take items to the tip for you if you’ve decided to get rid of them. If you find a reliable man with a van in Leeds, West Yorkshire, he may be able to accommodate you throughout your whole move – helping you with house clearance, taking items to the tip, to storage containers, to salvage yards and finally helping to move everything into your new place. A Leeds, West Yorkshire man with a van service is often a bit more flexible than a removals company, so consider individual movers as well as large firms when you move. If you’re moving at the same time as carrying out renovations, you may need to liaise with your other contractors as well as Leeds, West Yorkshire removal companies to make sure the move and house clearance can go as seamlessly as possible. Here are some related professionals and vendors to complement the work of removal companies: . Find removal companies on Houzz. Narrow your search in the Professionals section of the website to Leeds, West Yorkshire removal companies and man with a van services. You can also look through Leeds, West Yorkshire photos to find examples of house clearances and moves, then contact the professional who worked on them.